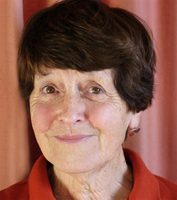 Since it was first published in 1992 and after its inclusion in The Faith We Sing (FWS) in 2000, Shirley Erena Murray’s popular “Come and Find the Quiet Center” has become a touchstone of peace and spiritual calm for many faith communities. The text of the hymn has found its way into informational pamphlets about labyrinth walks and prayer gardens, chapel dedications, personal devotional materials, and many worship services. Most often editors rely on the first stanza, words that speak to our deepest desire for peace in the midst of the storm, but Ms. Murray does not stop there. When examining all three stanzas, individually and as a whole, it is evident that finding the quiet center of our being is only the beginning of the journey that she suggests. New Zealander Shirley Erena Murray (b. 1931) is a prolific hymn writer with texts appearing in more than 100 collections worldwide. Her hymns and carols speak to a wide spectrum of themes including the church year, human rights, the care of creation, and peace. The hymn was written for a retreat setting so it is appropriate that it is often used in settings that are in some way set apart from day-to-day life. Stanza one is the most well-known portion of the hymn and is well suited to a call to worship, call to prayer, or centering experience. Ms. Murray invites us to center our hearts, to “be at peace, and simply be,” an invitation that is difficult for anyone to pass up. In the next line, however, the focus shifts. We are still working within ourselves but rather than simply being, we are preparing for the work that lies ahead. No longer are we shielded from the heat of the first line of the stanza; now we ask God to “[lift] shades to show the sun” and “[raise] courage when we’re shrinking” as we prepare to meet the challenges of faith. Ms. Murray reminds us that even though it is tempting to remain in the safety of those set-apart moments of peace, the challenges of life remain and, ultimately, we must prepare to face those challenges with a newfound sense of strength. Stanza three sends us with the Holy Spirit into the world of pain, love and fear while reminding the traveler that when we are “open to each other’s pain” and when we “let our loves and fears unravel,” we gain space for newness of being. Ms. Murray gives the gift of peace within the chaos but then asks us to draw strength from that peace, that connection with the Spirit, to face the challenges and triumphs of the Christian journey. * © 1992 Hope Publishing Co., Carol Stream, IL 60188. Used by permission. All rights reserved. Renée N. Boone is a graduate of the Master of Sacred Music program at Perkins School of Theology, where she studied hymnology with Dr. C. Michael Hawn.